A former Chairman of the Independent National Electoral Commission (INEC), Prof. Attahiru Jega, has said that leadership is the major problem of Nigeria. 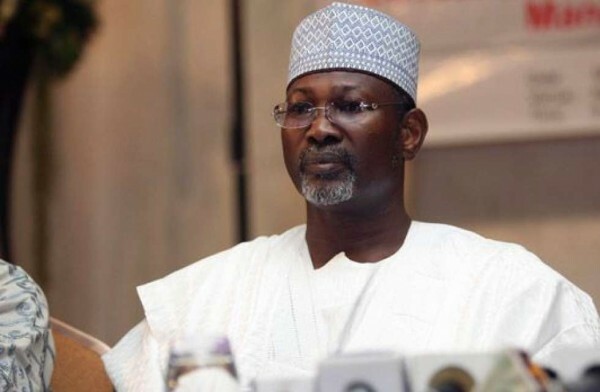 Jega at a leadership summit organised by Citizenship and Leadership Training Centre of the Ministry of Youth and Sports, on Thursday in Abuja blamed leaders of the country for the erosion of national core values. He said that the leaders, through their actions, inactions and statements, discourage the citizens to recognise and be guided by the national core values. According to him, Nigeria’s core values, as defined in the constitution, have been essentially ignored with impunity. Jega said that national core values, since incorporation into the 1979 Constitution, were not taken seriously by the operators of the constitution for compliance. According to him, the non-compliance with core national values had systematically undermined unity, harmony and peaceful co-existence. Jega said that public officials in virtually all states of the federation have continued to assign more rights to the so-called indigenes than to citizens with impunity. “This contradiction is at the root of most of the causes of instability, conflicts and violence in contemporary Nigeria. He also deplored the deficiency of traditional and religious leaders in compliance with wider societal values. “Even, those who, socio-culturally, are perceived as having moral authority, such as religious community and the traditional leaders are remarkably deficient in their compliance with the wider societal core value systems, not to mention the constitutionally identified core national values,” he said. The former INEC chief urged the Federal Government to invest heavily in the inculcation and sustenance of national core values, with focus on nurturing and empowering the drivers of change, especially the youths. “Government agencies saddled with the task of reviving the core values need to be strengthened and empowered to be active and effective in the discharge of this important responsibilities,” he added.